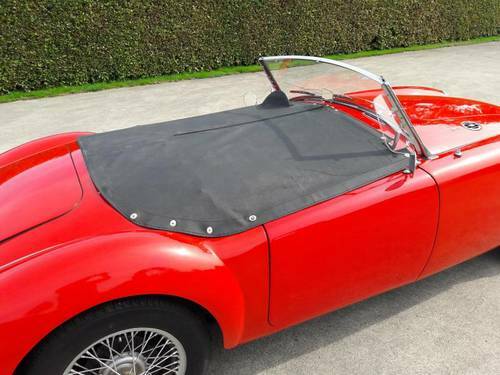 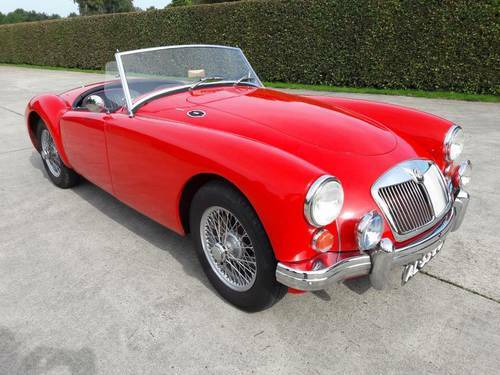 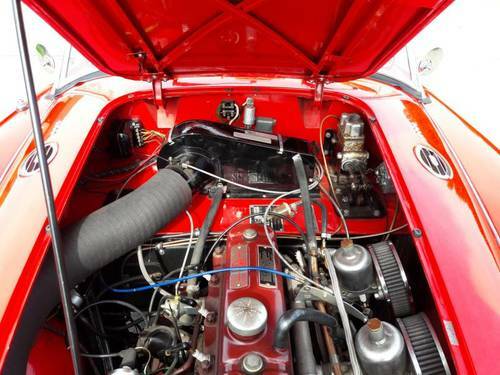 Here we have a beautiful MG A 1600cc in the sports car color red. 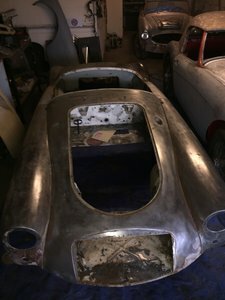 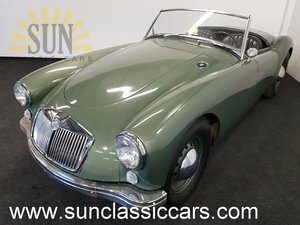 This MG is equipped with spoke wheels, tonneau cover, softtop is new, fog lights, chrome license plate holders, 2 mirrors, electric fan and a jack with spinner key, radio. 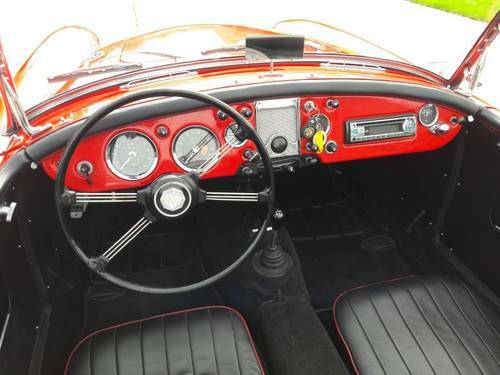 The Interior is black with red piping and is in very good condition, chrome is in perfect condition. 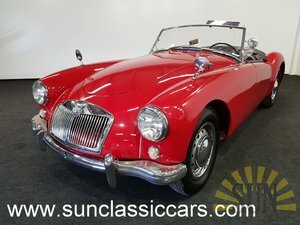 The car is Rust free and presents itself very beautiful. 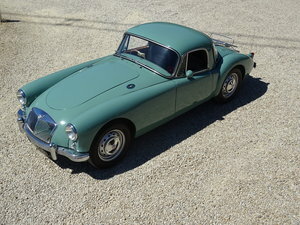 The A.P.K. 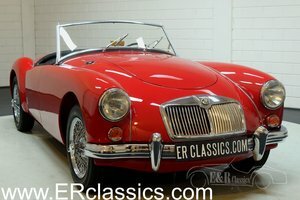 (mot) is valid until 04-2019. 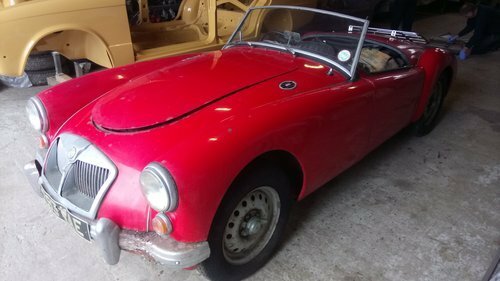 Because this car a few years ago has been restored is the condition very well and the original 1600 engine and gearbox perform as it should. 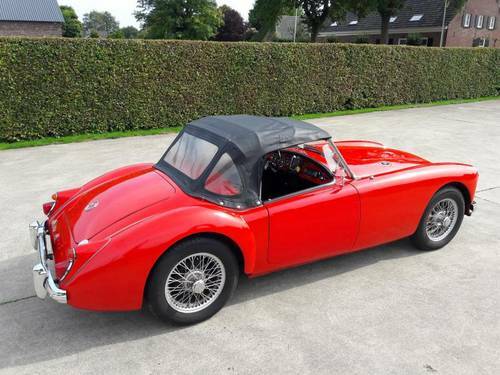 In short a MG that is worth and that many people had a varied selection word by its good rijeigenschapen and also by its appearance. 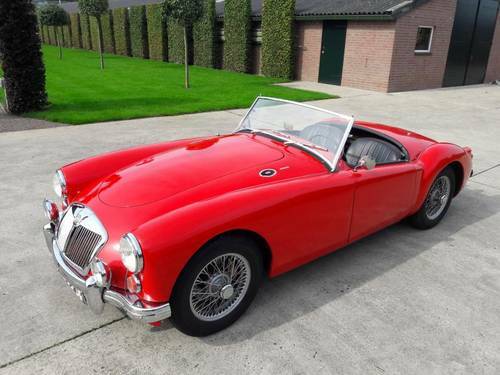 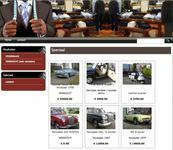 Call Hans for this particularly beautiful MG A + 31654345431 or visit http://www.vanderhoffclassiccars.nl 27500 Euro.